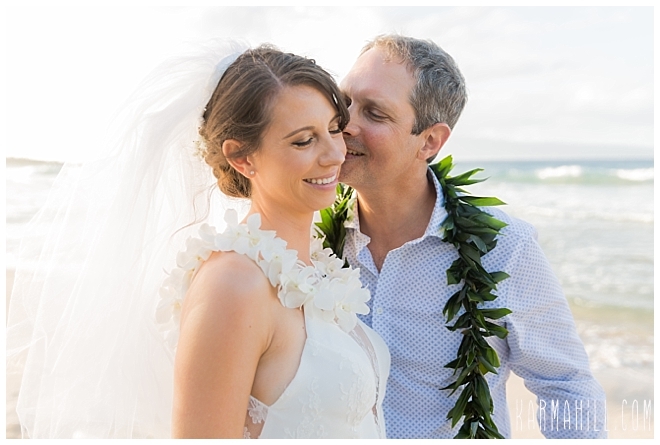 After nine years together, Utah couple Whitney and Nathan knew the time was right to begin the next chapter in their story. 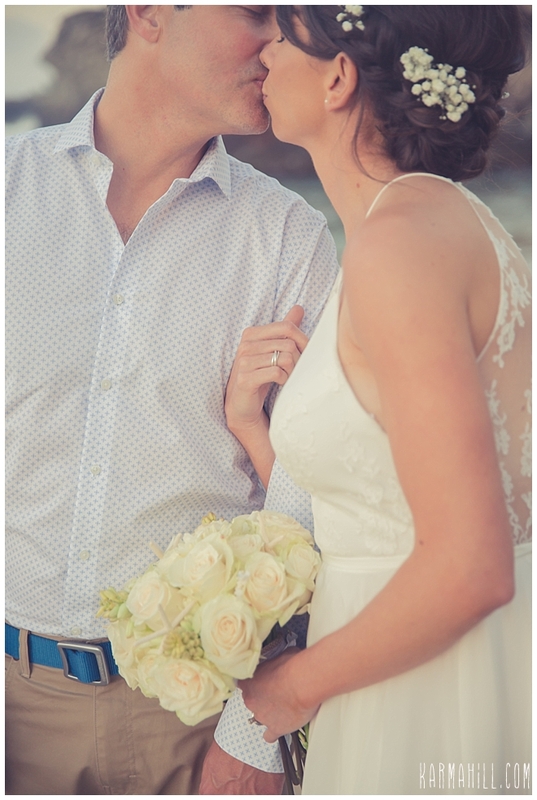 Having met at work, they have built an incredible life together and are so excited to add a new addition to the mix in the coming months. 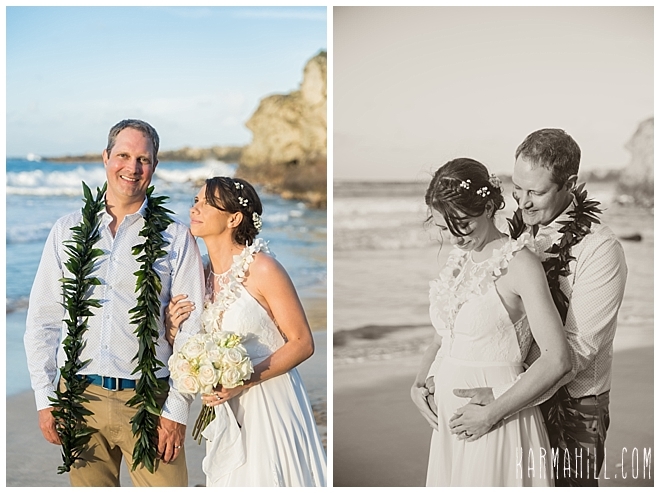 Gender unknown, they are six months along with the bundle of joy that will take them to the honored status of 'mom' and 'dad.' 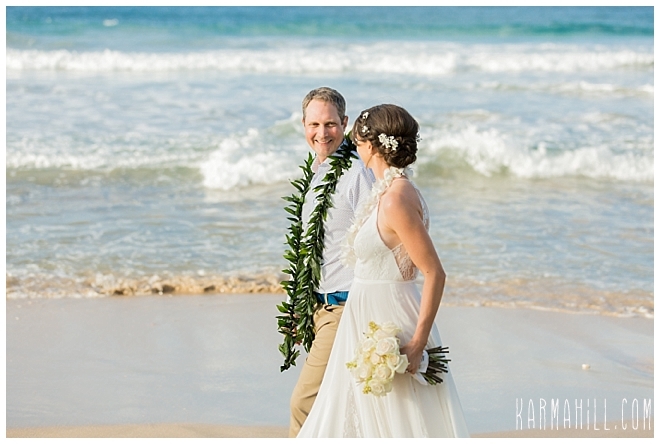 But first, their Maui Elopement. 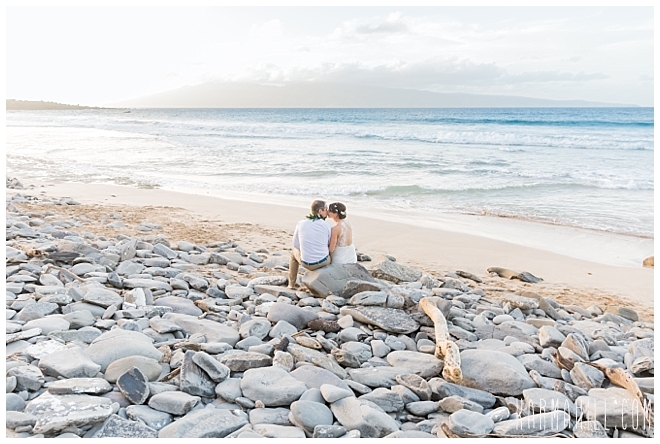 Having traveled to most of the major islands in the world, Maui was the last on their list so they decided to make it the most memorable stop with a new beginning taking place here. 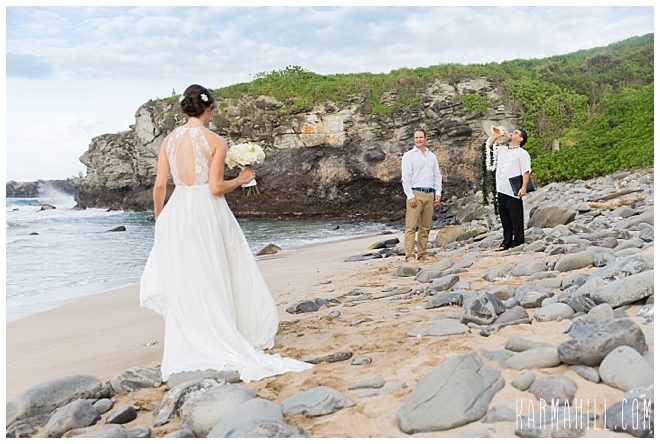 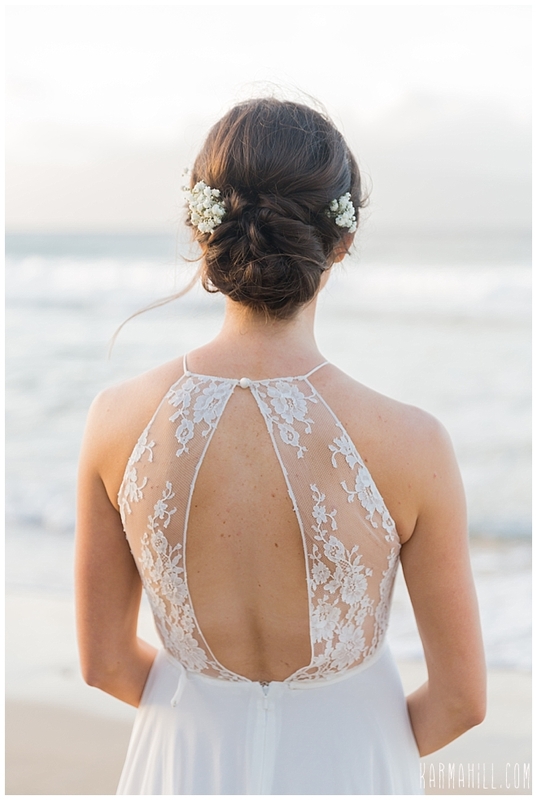 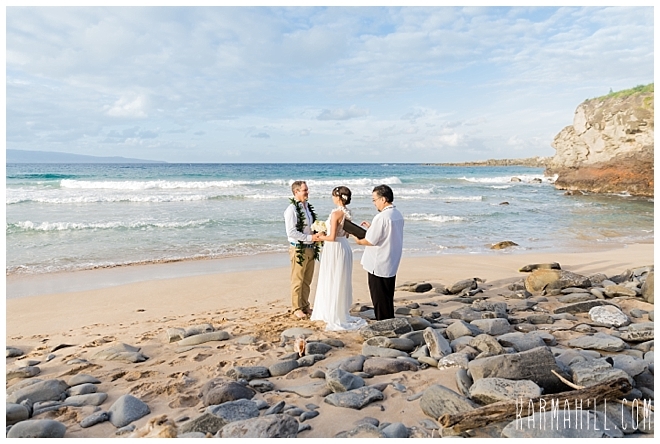 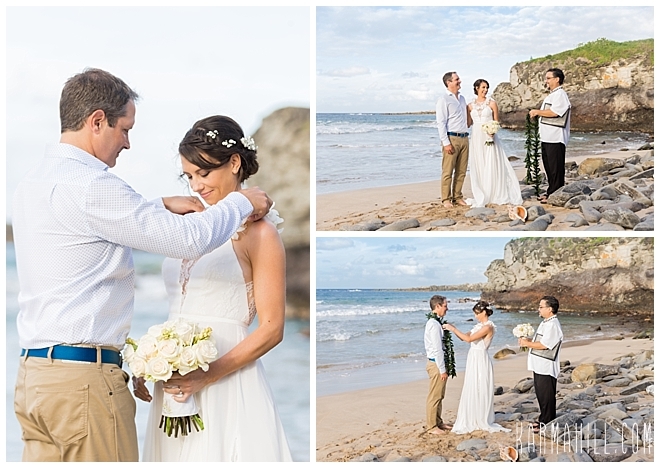 Surrounded by the dramatic coastline, the sparkling sea, and the island warmth, they set out to become Mr and Mrs on the shore of Ironwoods Beach. 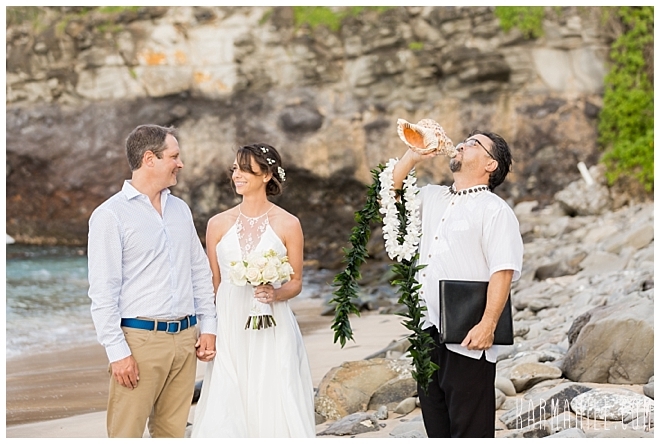 With the blowing of the conch, Rev. 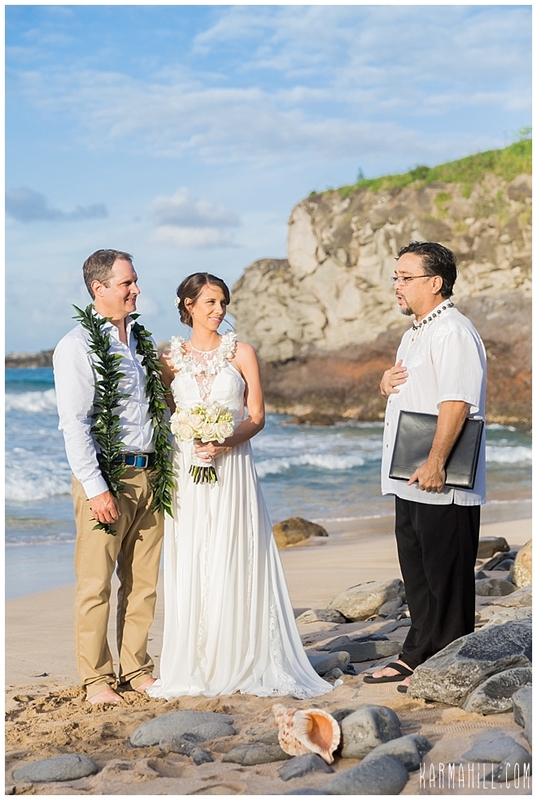 Kimo led them through the language of love that would unite their futures just before he declared them husband and wife. 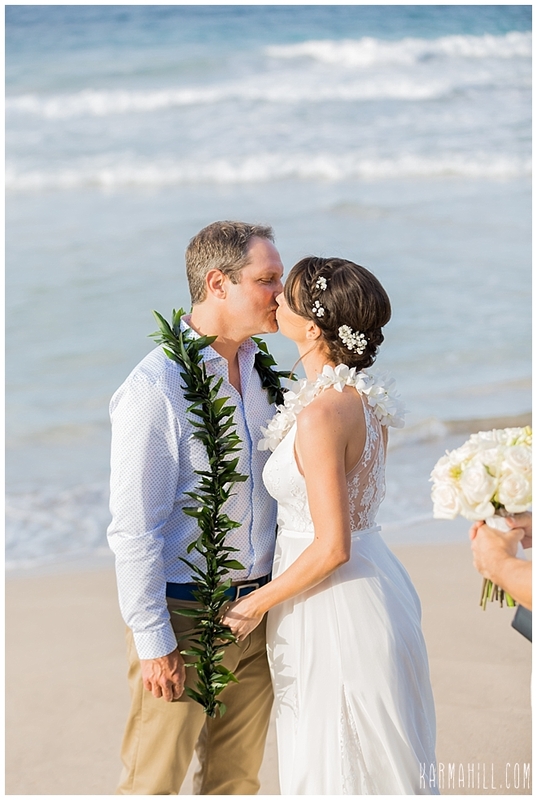 It was a stunning moment filled with love and we are so happy we got to be a part of it. 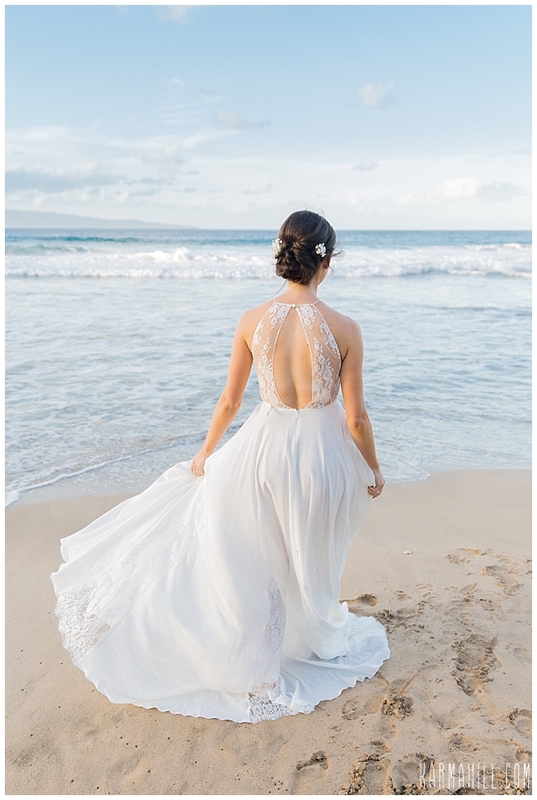 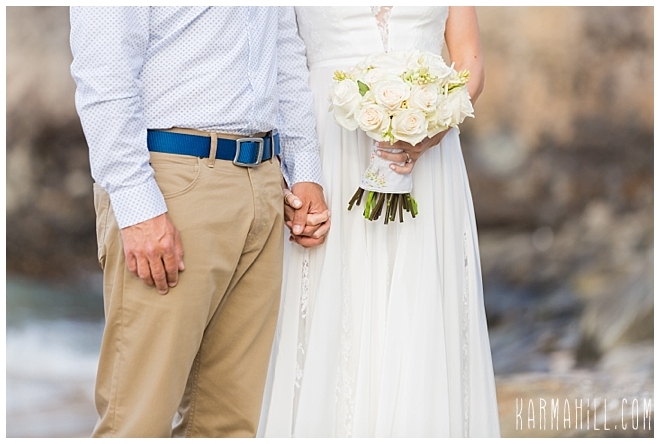 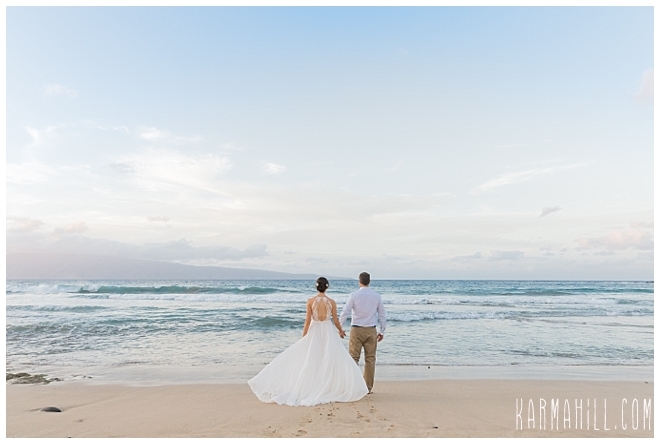 Thank you, Whitney and Nathan, for choosing Simple Maui Wedding. 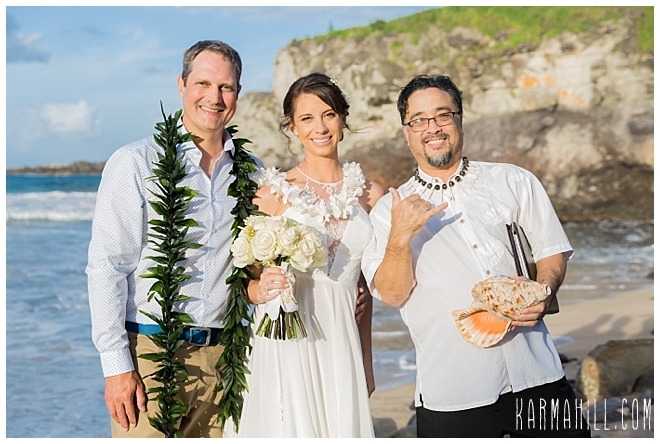 It was our distinct pleasure meeting you both and we wish your growing family all the best in the world. 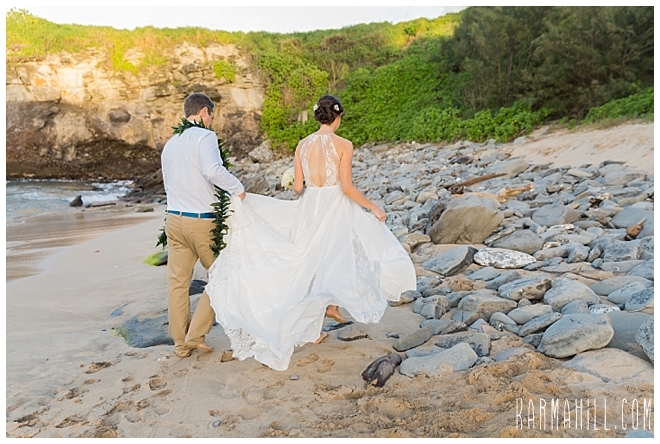 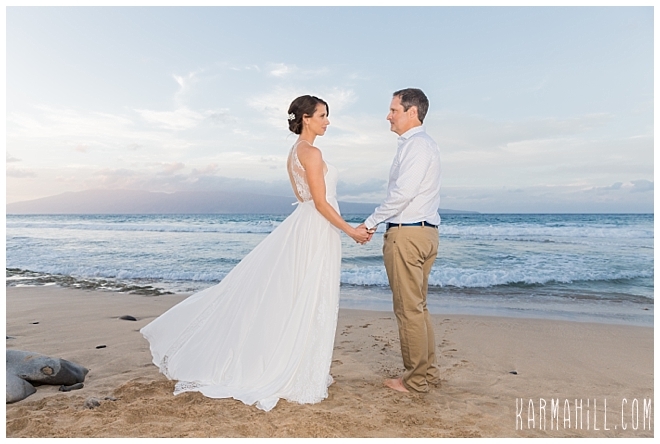 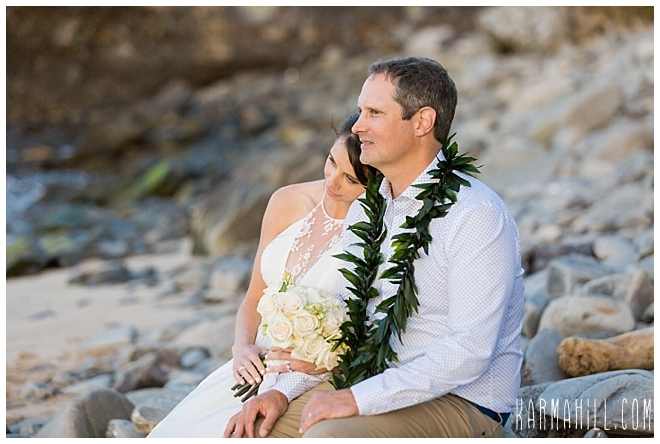 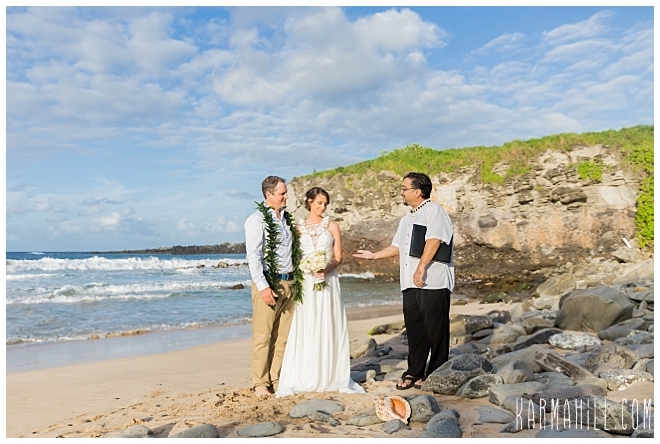 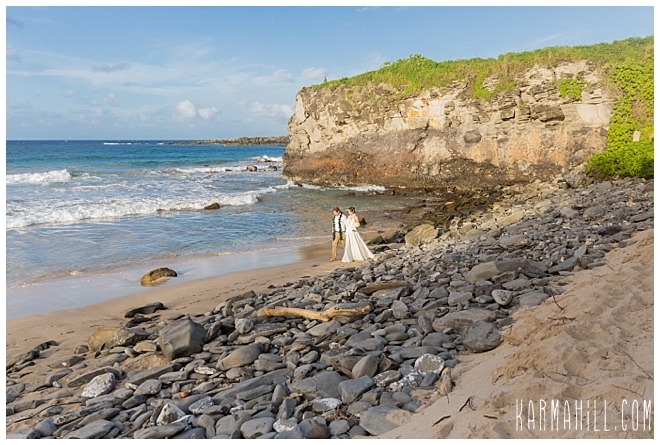 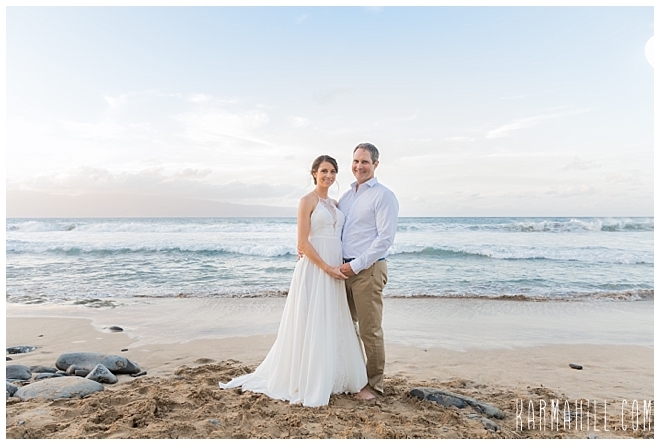 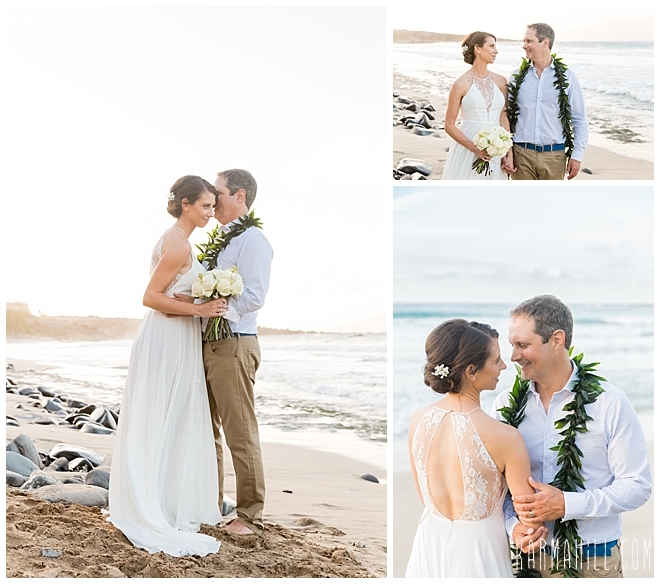 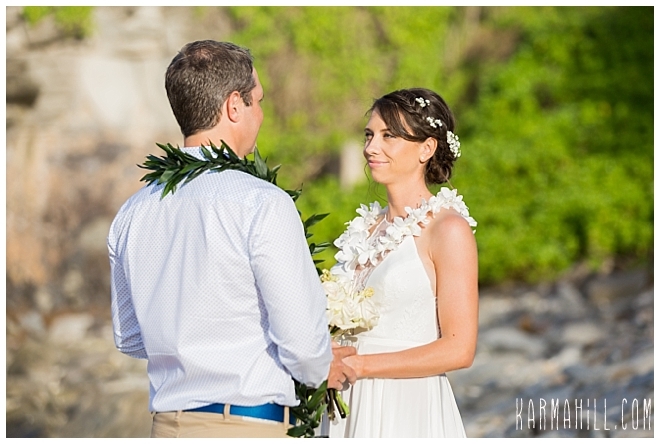 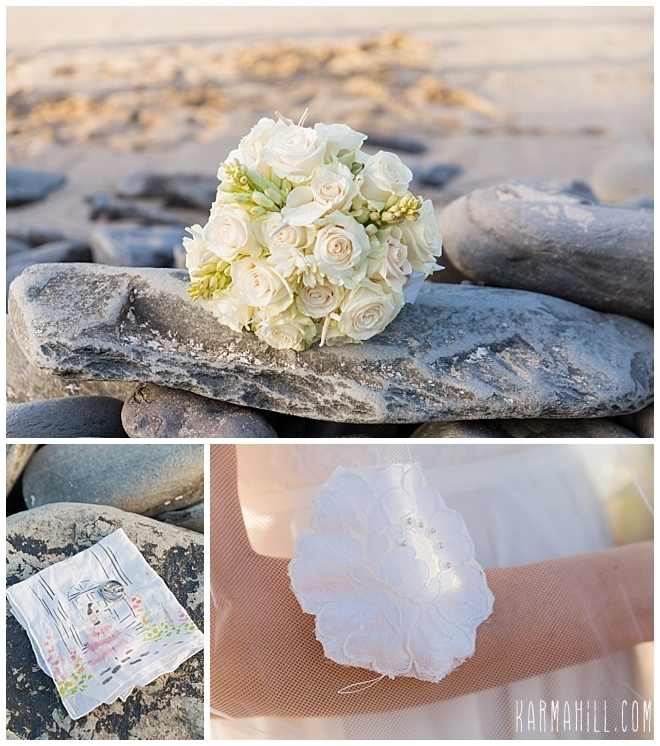 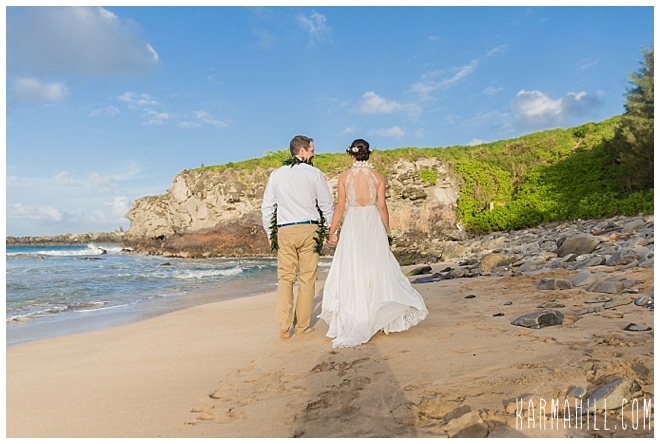 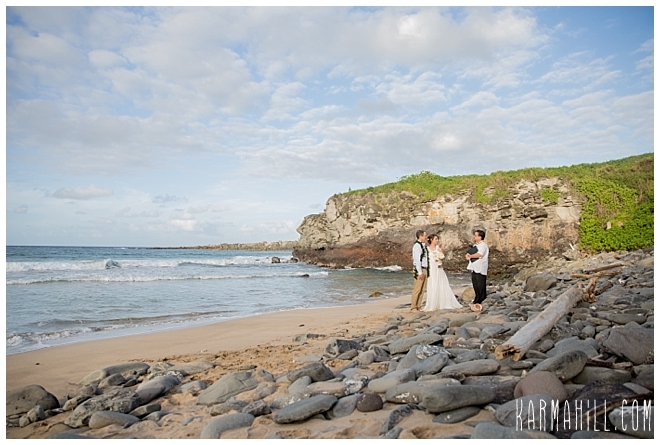 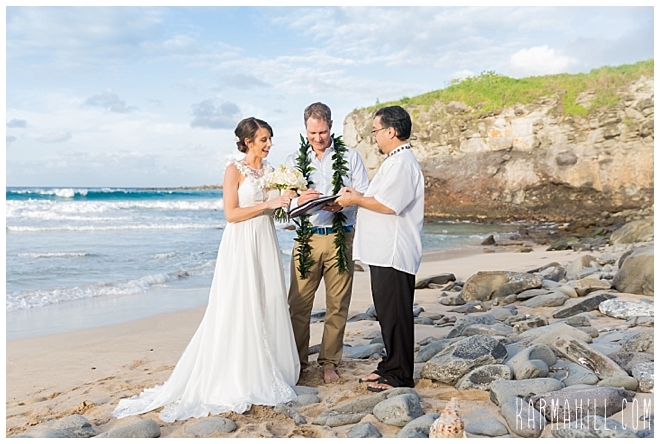 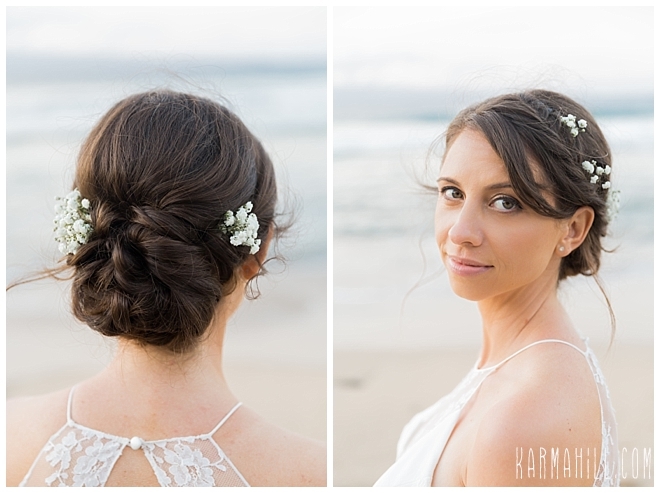 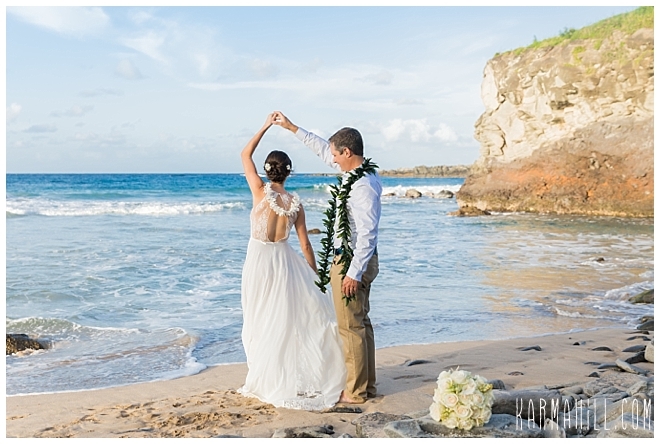 Check out our last Maui wedding with Renee & Robert!